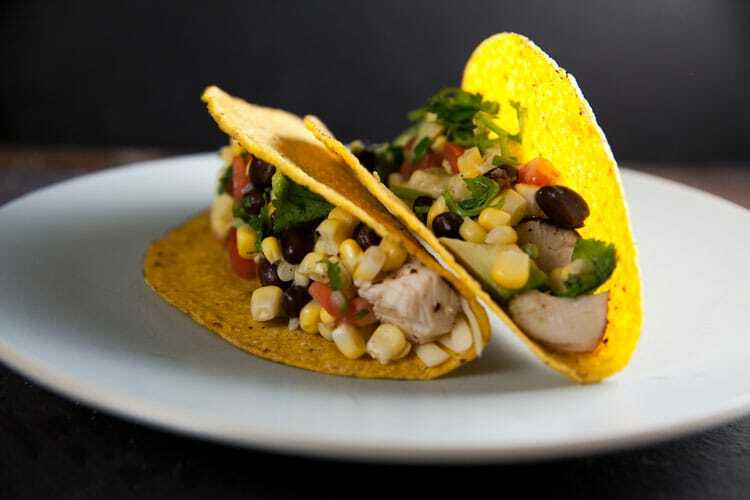 Cajun Chicken Tacos with Corn Salsa | Healthy. Delicious. I have a bit of a cookbook “problem.” Between review copies that get sent to me, books written by friends I want to support, books about techniques and cooking styles I want to learn more about, and books that just look too cool to pass up, my collection is slowly taking over my whole house. (I have a bookcase full of them in my office, another in my dining room, and yet another in my living room!) I love them all, but unfortunately most of them don’t really get used much. 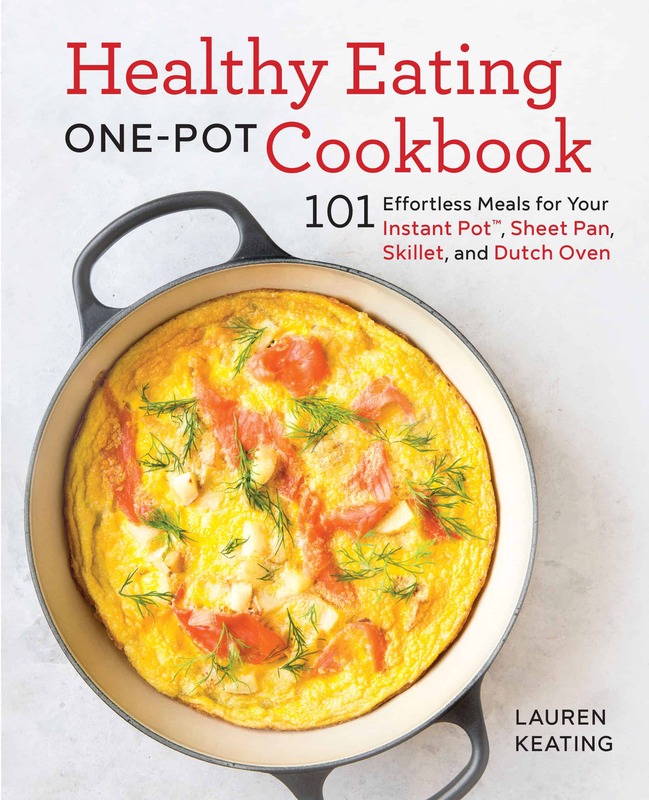 Alyssa of Everyday Maven and Faith of An Edible Mosaic hosted a Food Blogger Cookbook Swap as a way for bloggers to connect and pass along cookbooks that just weren’t getting enough love. I sent a copy of The New Artisan Bread in 5 Minutes a Day to Kate from Our Best Bites. (I actually love that book – the baguette is a Sunday morning tradition – but somehow I ended up with two copies. Plus a copy of the original. And, of course, a copy of Healthy Breads in 5.) In exchange, Stephani from Cupcake Project sent me some sunshine in the form of a cookbook straight from the Florida Keys. The cookbook is full of simple, fresh recipes that scream “summer!” There are tons of margarita recipes and lots and lots of seafood. Unfortunately, a lot of the ingredients (like conch and key limes) are pretty hard to find – especially this time of year. Despite that, I quickly zeroed in on these cajun chicken tacos. I had something really similar at a restaurant in Kansas City last month and I haven’t been able to get them out of my head. I was so excited to see this recipe! They chicken is marinated in a mixture of citrus juices and soy sauce, then rubbed with blackening spiced and grilled. 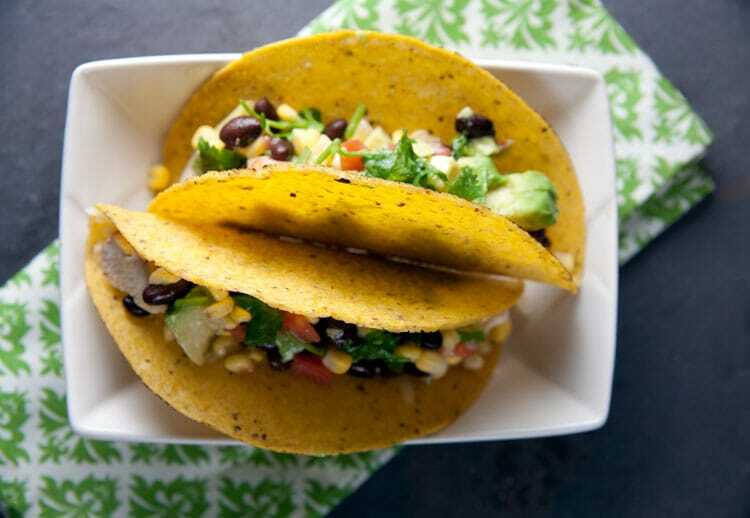 It gets topped off with a fresh corn, black bean, and avocado salsa and it’s delicious. The flavors work so well together and even though I had to use frozen corn instead of fresh and regular limes instead of key limes, the tacos tasted fresh and summer-y. In a wide shallow dish, mix together the orange juice, lime juice, and soy sauce. Add the chicken. Cover and refrigerate at least two hours. Remove the chicken from the marinade and pat dry. Coat with blackening spice. Grill until cooked through, about 15 minutes. Let rest 5 minutes, then cut into bite-sized cubes. On a baking sheet, arrange the hard taco shells(if using) in a single layer. Bake for 10 minutes. In a medium bowl, combine the corn, beans, avocado, tomato, cilantro, and lime juice. Season with salt and pepper. Divide the cheese between the taco shells/tortillas. Fill with chicken and top with salsa. 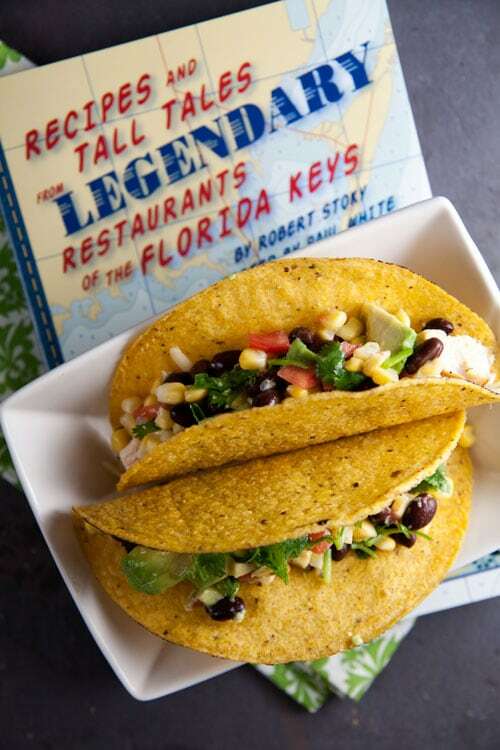 Adapted from [Recipes and Tall Tales from the Legendary Restaurants of the Florida Keys. Here are links to other bloggers who participated in the swap! This looks fantastic! I try to keep the carbs low most of the time (although I’ve been very, very bad the past two weeks.) This could be just the thing to get me back in line! Thanks to you (and Kalyn). They really look lovely! Lauren, these look great! I never had Cajun tacos before but that sounds delicious!! Interestingly, I’m also screaming SUMMER right now. 😀 Sigh. These tacos look outstanding! I love, love, love corn salsa, so this is probably getting made soon! I am drooling over these. This will have to go on my spring/summer rotation. I was laughing at the though of finding Conch – I frequently wonder if the authors think about accessibility of ingredients to the consumer. Great to find your blog through the cookbook exchange! A girlfriend and I went to the Keys for “adult spring break” a few years ago, and the food was just to die for everywhere! Love all the citrus in these tacos. I’m sure they taste so vibrant and fresh! Sorry you had a hard time find ingredients. But, I’m glad you found something great to make! The tacos look fab! Is it summer yet?! These look so good and so perfect for scaring away this winter funk. Tacos have been one of my go to meals for the past few months. 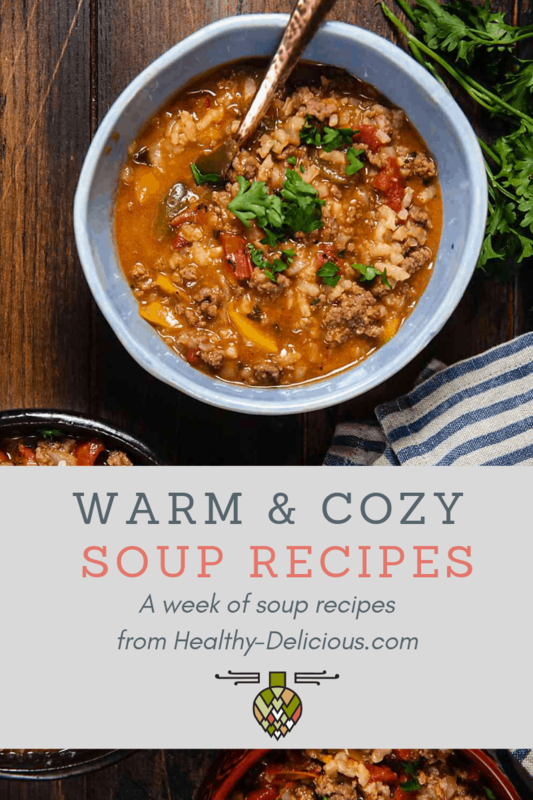 Thanks for sharing another recipe to add to my collection! I love the idea of a cookbook swap; I definitely have more than a couple that aren’t getting much attention. The book you got sounds so interesting! 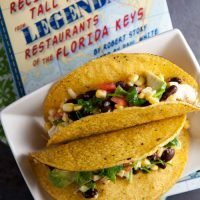 Food from the Keys is so vibrant and fresh, and I hope there are some great “tall tales” in the book! Wow, these sound amazing! This was such a fun swap. I love to think of this recipe taking us all on a visit to the sunny Florida Keys! I really enjoyed this Swap and love how many bloggers participated. Hope to do it again next time! How much fun and those tacos look delish! What a fun idea. I have tons of cookbooks too! These tacos look fabulous, love the corn salsa on top! These sound amazing! These need to make an appearance on our menu soon! You can never have too many tacos! I love all of the colors in these Cajun chicken tacos! I am so ready for ALL of the recipes that scream “summer”!! Yum! This looks delicious. My Husband will definitely want to try these! I have a huge cookbook addiction. I just can’t help it. I love the marinade for this chicken though. I can tell they are going to have fantastic flavor. Pinning! This looks amazing, and I’m going to look for that cookbook, great recipe! It would also be good with just shrimp, and just cook them in the acid from the juice, like ceviche. I’m hungry now! Looks like a delicious twist on an old favorite – yum!